What is Plasmolifting Incubator Mini B-100? The Plasmolifting Incubator Mini B-100 is a thermostat or incubator designed to heat the components of the centrifuged Plasmolifting test tube that contain the patient’s blood and other ingredients needed to create Plasmogel, the substance to be injected into the patient’s skin for its aesthetic effects. Using the Mini B-100 incubator represents the third step of the Plasmolifting process. It is easy to handle with its ergonomic design and functionality where the test tubes can be conveniently placed inside without much hassle. It is also known to be a mini dry bath that has a microprocessor that can control the heating block or the semiconductor refrigeration technology. In other words, it can both heat and cool whenever needed. This functionality is integrated into the system, making it a smart, light, and effective unit that can be suited for almost any kind of occasion. There are two types available: the 100L and the 100F, the former with the thermo cover technology that can prevent evaporation, and the latter with the fan for extra heat dissipation that lowers the temperature at a faster rate. Fitted with a liquid crystal display (LCD), it displays useful information in a compact setting where it shows the actual time and temperature and the settings that were set in a single glance. It can also calibrate the temperature easily through its innovative programming features. The designers behind the Plasmolifting Incubator Mini B-100 incubator also takes safety in heavy consideration as it spares no expense in maintaining a high-quality and safe device. To help prevent future accidents, a buzzer alarm built into the device activates automatically when it detects faulty incidences. It operates on 24V DC input power, and also has a built-in-over-temperature protection device that detects overheating. Finally, for extra convenience, the manufacturers provide various optional blocks that can be used for easier cleaning and disinfection for future use. Once the blood sample is taken from the patient and has been through the spinning process with the centrifuge, it enters the Plasmolifting Incubator Mini B-100 to be heated. Once heated at 95 degrees Celsius for six minutes, as recommended by the manufacturer, the contents in the test tubes become a viscous gel that is ideal for filling in superficial and deep wrinkles, and for volume augmentation in certain areas of the face. Plasmolifting Incubator Mini B-100 is manufactured by Industrie Biomediche Farmaceutiche, which is based in Scafati, Italy. 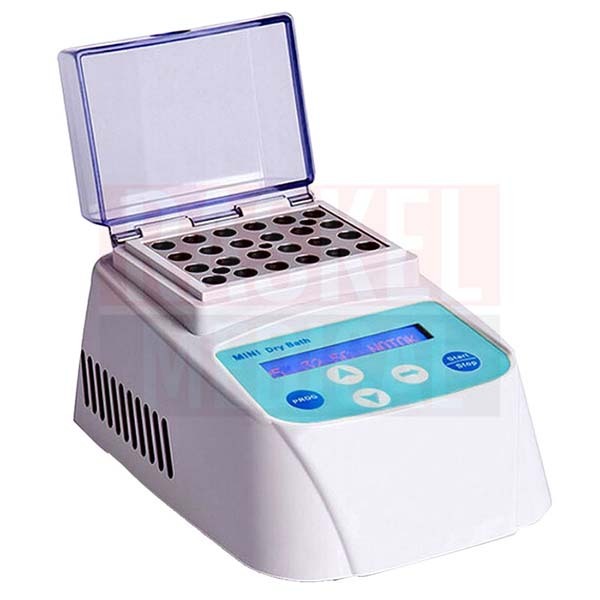 Plasmolifting Incubator Mini B-100 is made in Italy. There are no known side effects associated with the use of Plasmolifting Incubator Mini B-100. The test tubes remain in the incubator for at least six minutes to be transformed into Plasmogel. The side effects usually start to occur during the injection process of the Plasmogel into the patient’s skin. Usually, patients complain of redness, pain, swelling, and bruises but these are transient and usually recover on their own after a short period of time. More serious side effects, however, are very rare but these include: beading and nodule formation. The Plasmolifting Incubator Mini B-100 can be suitably used on all blood types irrespective of the patient’s skin type. Plasmolifting Incubator Mini B-100 does not contain any hormones or carcinogenic materials. The Plasmolifting Incubator Mini B-100 is designed with efficiency, convenience and safety in mind. It has multiple fail-safe mechanisms in place such as the built-in temperature protection, buzzer alarm that detects faulty functionality, and a single display that shows the necessary information on settings that the practitioner should know before starting the unit. The Plasmolifting test tubes contains sodium citrate and thixotropic gel which prevents the collected patient blood sample from clotting and separates the blood contents after the centrifuge process, respectively. The Plasmolifting centrifuges (e.g. XC-2000 and XC-2415) are responsible to spin at least 4000 rotations per minute for five minutes to produce the necessary distinction between the layers in the blood. The Plasmolifting thermostat (i.e. the Mini B-100) finalizes the transformation of the platelet-rich plasma collected into Plasmogel. Plasmogel is the component injected into the skin to reduce wrinkles and for volume augmentation. The Plasmolifting centrifuges differ usually by their price and design (e.g. capacity, weight, power requirements, memory function, multi-touch screen) but they function similarly. Before commencing treatment, these medical devices are needed: Plasmolifting test tubes; a Plasmolifting centrifuge (e.g. XC-2000); a Plasmolifting thermostat (e.g. Plasmolifting Incubator Mini B-100); 21G to 23G peripheral venous catheters; luer-lock 2.5ml syringes; and, 23G needles for injection. Once blood has been collected from the patient and deposited into the Plasmolifting test tube, place them into the centrifuge. Set the rotations to 4000 rpm for five minutes. Remember to balance the centrifuge as recommended in the manual with another test tube of similar volume and weight. Extract the platelet-rich plasma layer after the centrifuge process and place it into another test tube. Preheat the thermostat to 95 degrees Celsius for eight minutes. Place the test tube with the extracted plasma into the thermostat. The settings should be adjusted based on the collected plasma; 0.5 to 0.8ml, set for four minutes, 0.8 to 1ml, set for five minutes, and 1 to 1.14ml, set for six to seven minutes. Let rest for two minutes after heating. Clean the skin with a suitable cleansing agent and inject the Plasmogel into the skin following established guidelines. The Mini B-100 incubator is composed of entirely safe materials and would not cause health hazards. Once Plasmogel is injected into the patient’s skin, its effects would last six months to two years, depending on the area injected. Keep the Plasmolifting Incubator Mini-B100 incubator clean and dry. Store at room temperature and away from direct exposure to sunlight.